In 2007, a comprehensive study was completed to assess current and future aquatic facility needs and to recommend an implementation strategy. 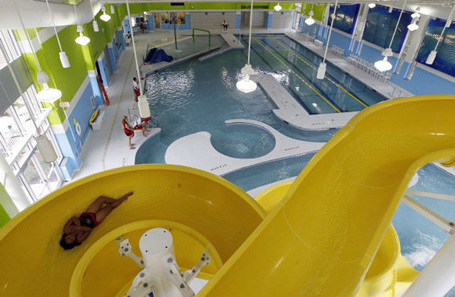 The aquatic facilities study was published in January 2008 by Counsilman-Hunsaker in association with Szostak Design. As a result of that study, City Council authorized an amendment to the Buffaloe Road Athletic Park master plan to include a new regional aquatic facility. Funding for the project was included in the $88.6 million Parks and Recreation bond referendum approved by voters in October 2007. The 18,600 sq. ft. facility is seeking LEED Silver certification under the Leadership in Energy and Environmental Design (LEED) program. Features for LEED certification include solar-heated domestic hot water, a green (vegetated) roof, bioswales to handle parking lot runoff and LED parking lot lighting.